And the worst is that only 2 are mine. 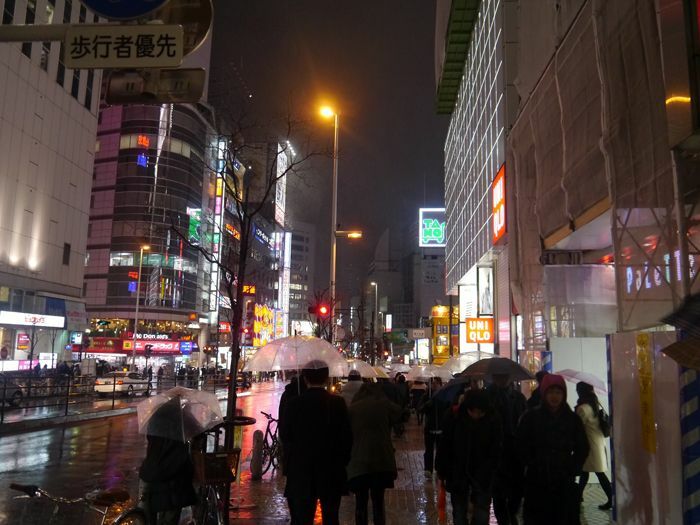 So anyway on Day 1 (the day we reached), we simply headed out to Shinjuku to get dinner. Our hotel has a pretty good location because we're really near a metro station, which is only 2 stops away from Shinjuku. Had Japanese curry that night! The Japanese love umbrellas O.O Umbrellas sell everywhere & even the hipster/punk guys carry them hahaha. And I notice they all love the transparent one! I love the transparent umbrella too & my mom has had one for years (like for as long as I can remember, so 10+ years) but it's the non-foldable kind so you can't put it into your bag. SAME AS THE ONES THE JAPANESE USE. They literally walk around with the long, unfoldable umbrella in their hands! What dedication. 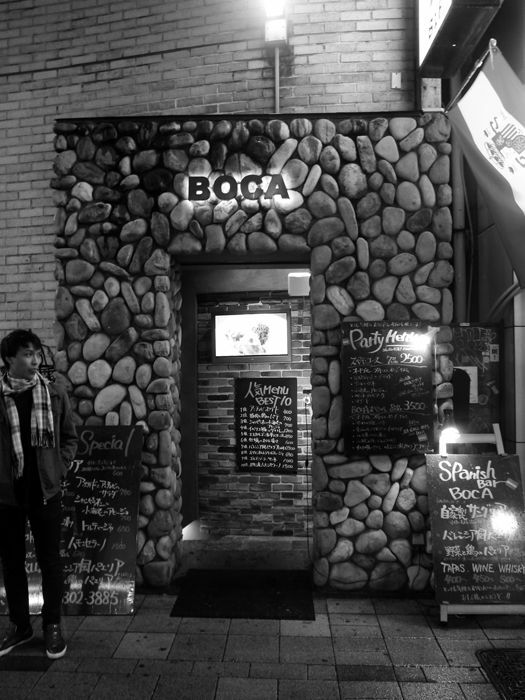 Tokyo has lots of Italian & Indian (North) restaurants/cuisine! Snowing but impossible to capture it. 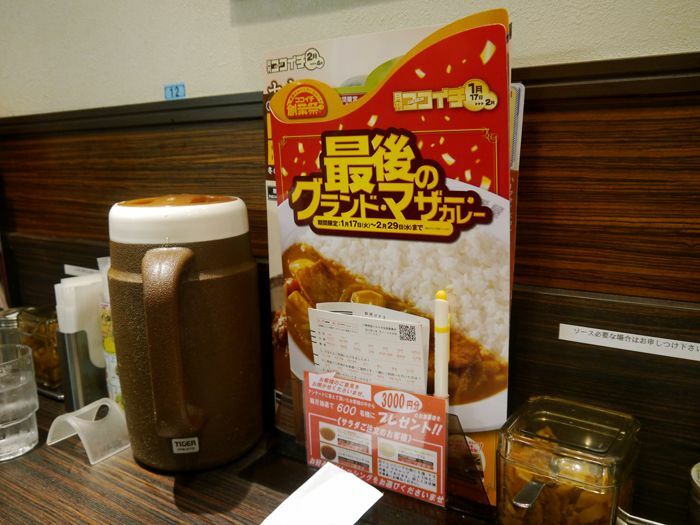 This restaurant has a Japanese curry for EVERYTHING! Aside from your usual pork/chicken cutlet (I always get chicken) they have shrimp, calamari... even veggie! 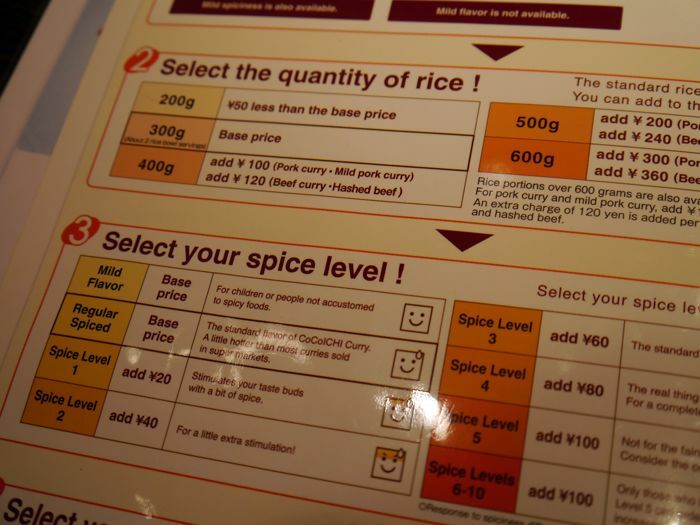 And you can select your rice + spiciness level! This place, has AWESOME curry by the way! It seems that it's a chain & it's also 24hours! The place is very no-frills; almost like fast food but the food is really good! And at least they have English menus so ordering is much easier. We bought back one of their instant curry mixes to try. Probably the only food I'll miss from Tokyo; the rest I feel that I can get the same quality (if not better) & greater variety in Singapore because I already know where to find what. While Tokyo has good food, the annoying thing is that they all specialise in one thing, e.g. Japanese curry, ramen, sushi etc... You can't even enter a sushi restaurant & hope for sashimi (although the ingredients are the same lol). They serve ONLY sushi, in which the choices are already very limited (like 20 options). This basically means both you & your friend(s) have to want to eat the same thing! HAHAHAHAHA, Mr Kentucky, why you look so funny? No this is not a random photo. 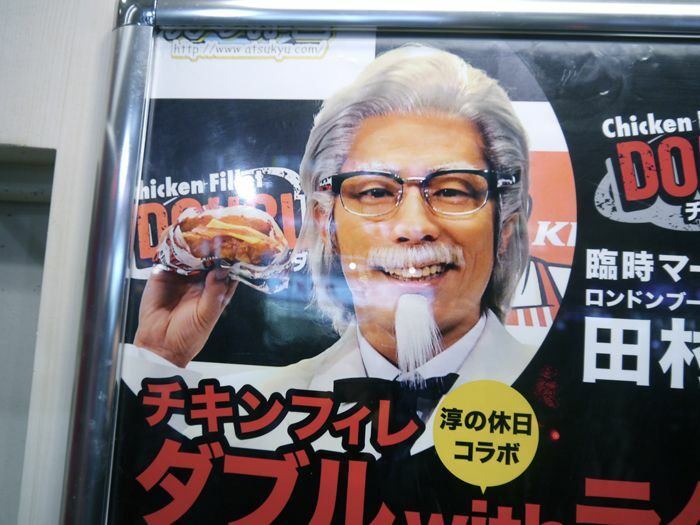 This is literally the poster at a KFC outlet hahaha. 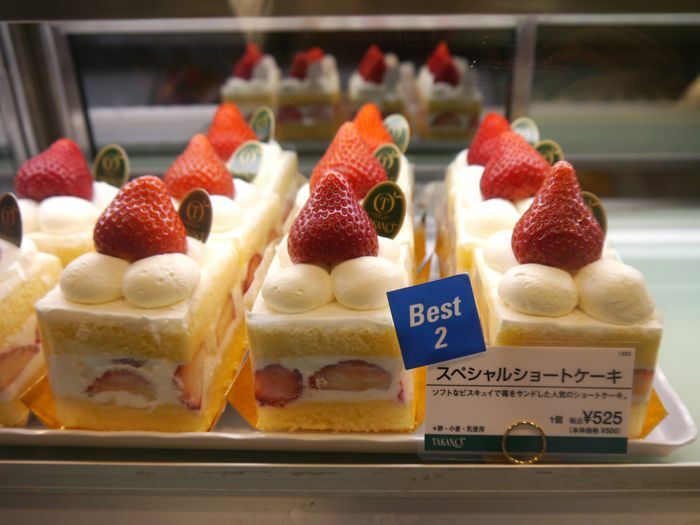 The above small strawberry shortcake costs S$8.50... I've even seen some selling at S$15/slice! As much as I wanted to try one, I can't bear to pay S$9 for a small piece because their portions are even smaller than those in Singapore. Anyway today I found one selling at 400+ yen! Omg so happy. And it turned out really yummy! Oh yeah they also like to RANK their products hahaha. You'll see many shops doing this (food/clothes), highlighting their top 3 bestsellers. Bought a Japanese magazine because I know they're pretty famous (like ViVi) so I wanted to see what one is like! I didn't see ViVi selling so I got this one; all their mags come with a free gift & this looked the best lol. I love these kind of floaty-floaty warm photos! But one thing... the Japanese models all look the same. The 3 girls above are 3 different girls & in this photo it's already more obvious. When I first flipped I thought it was the same model used a few times. Another thing... I love the pictures & styling but... it seems a bit blogshop-ish? The way each page is spammed with one pose of each outfit with a simple studio background... looking at these pictures I think some of the Singaporean blogshop models could easily copy the poses & look similar! But well I guess it's just different from the conventional magazine spreads! And at least their outfits are wearable, not weird ones done according to the shoot theme. Tried apple tea from another brand, also sucked. Got an orange juice thing another day, also very average. 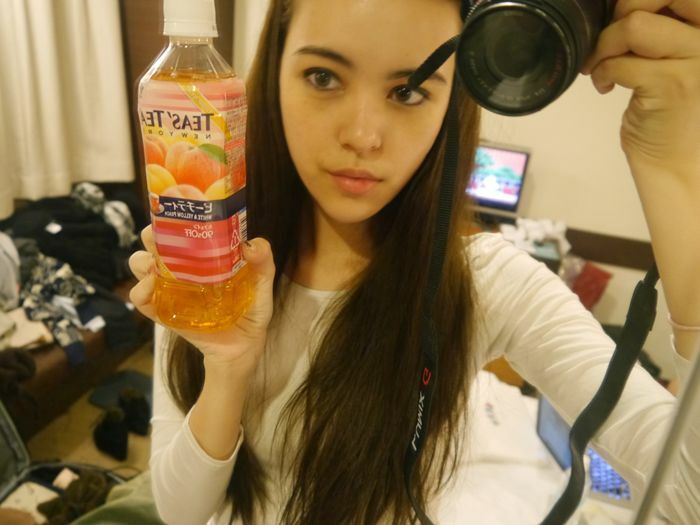 Bottomline, not a fan of the Japanese drinks! Oh but they serve Oolong tea at a lot of places though! Haha found it strange because it seems so Chinese to me. Kind of sad to leave Japan but I'm sick of the cold & dryness! Wanted prata & spaghetti & longan-ice the other day (still do). I'll be back 24th Feb but my place actually touches down after midnight so... it'll technically be 25th Feb.
31 comments on "Tokyo Day 1"
Haha you weren't kidding when you said you were just like any other Singaporean.. Always comparing to Singapore. Japanese food in Singapore totally does not compare to japanese food in japan! I have lived in Singapore for half my life and Japanese food in Singapore is just.. Meh. Sakae sushi prob being the worst of them all. Haha alaric's fringe became bangs? 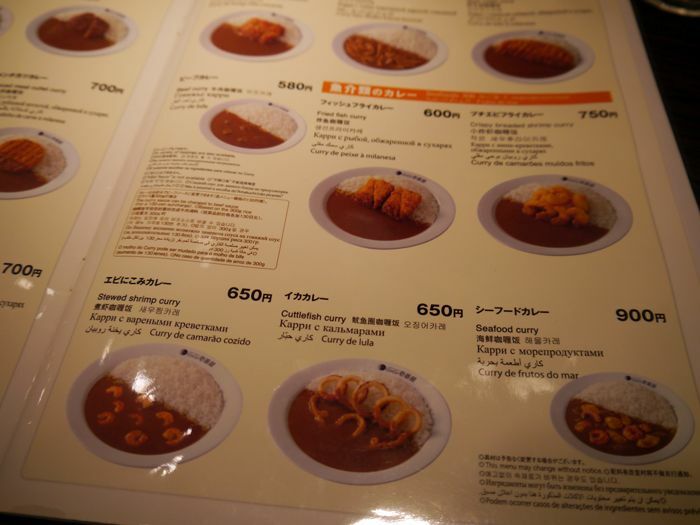 They have that japanese curry restaurant in Singapore!!!!!!! At 313! Is it rlly v yummy?? 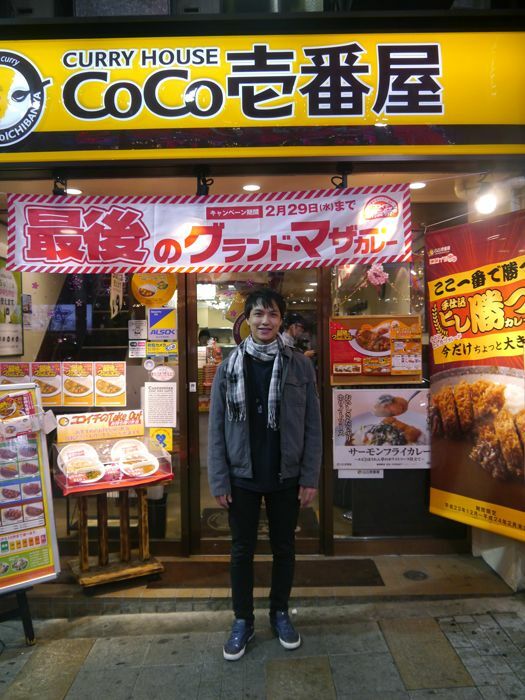 there's a coco ichiban outlet in Singapore. It's at 313 basement. you can find coco curry in singapore too! hey did u know that the jap curry restaurant u went to in tokyo (Cocoichibana) has an outlet at Orchard? Its damn nice! There's actually cocoichibanya (the curry chain store) in Sg as well. Can't remember if they offer the exact same selection. But similar enough. They have the Curry house place at 313 Somerset basement too!! There's actually Coco Ichibanya at 313 somerset! ^^ I had it a few times and it was awesome. 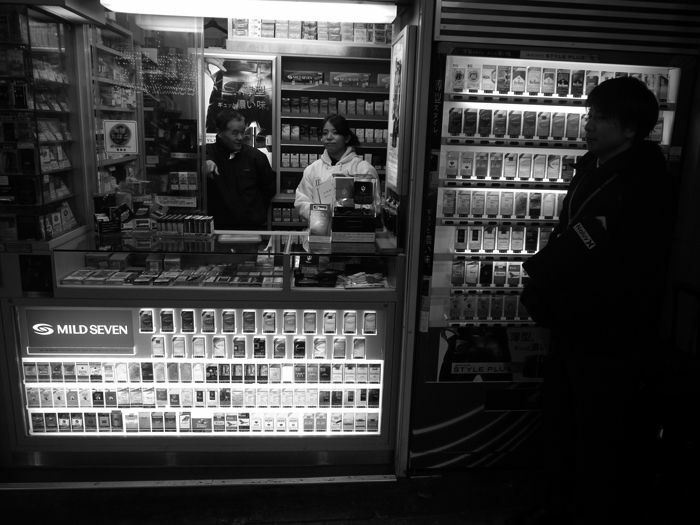 But probably it won't be up to standard compared to Japan's. So jealous you got to go to Japan:( It's so expensive to travel there! Would like to ask how was your attire like? Like what u wore under the various layers? I'm going to China with similar 0 degrees and it's my first time there so I would like to hear about it:) Hope you can respond to this!! Appreciate it thank you!!! 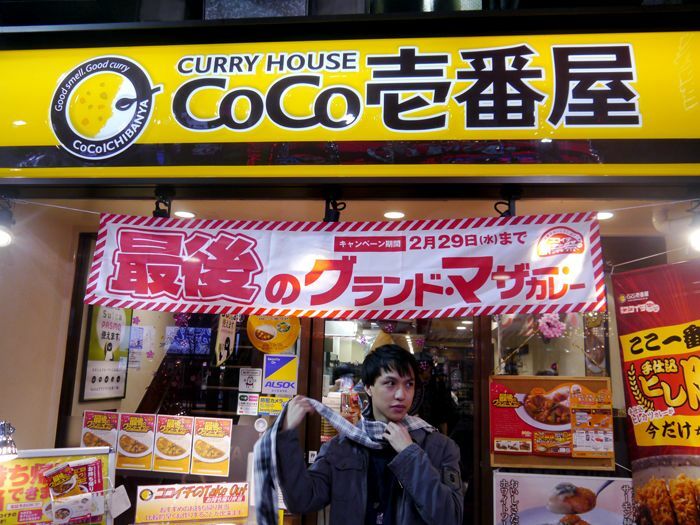 There's the same COCO curry house restaurant at 313! (: I loveeee the food! WAHAHAHA OK I GOT IT THANKS. I hardly go to 313 at Somerset & have only eaten there maybe thrice at most so lol... must have missed it out! BUT YAY SO HAPPY! I love CoCo Curry House!!! I miss their curry... it was so damn good!! Someone actually said that she would rather eat at Sakae than japanese food in japan...... the most absurd thing I have ever heard! //: Sakae sushi is like not even japanese food.. and their ramen is literally instant noodles. I'm not asserting my views on you, of course you can have your preferences, but you definitely don't appreciate authentic Japanese food since your preferences are so! Anonymous: Um I never said that I prefer Sakae Sushi's food? I spent a whole chunk on the VARIETY that restaurants like Sakae Sushi offer compared to Japanese restaurants. And furthermore just because someone doesn't rave about a certain cuisine doesn't mean they "don't know how to appreciate it". Not everyone is going to like your country's food & furthermore I never said I didn't like it - in fact I said "Tokyo has good food". 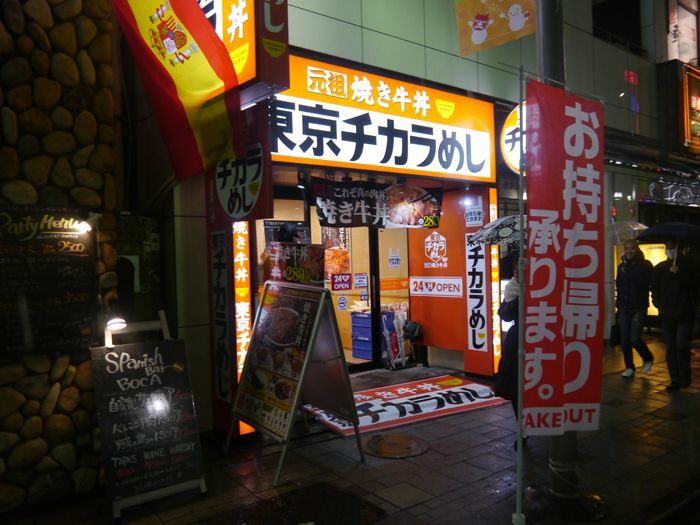 I mentioned that I find it easier to get good Japanese food here because I know where is what already - you think there are no good Japanese restaurants anywhere outside of Japan? 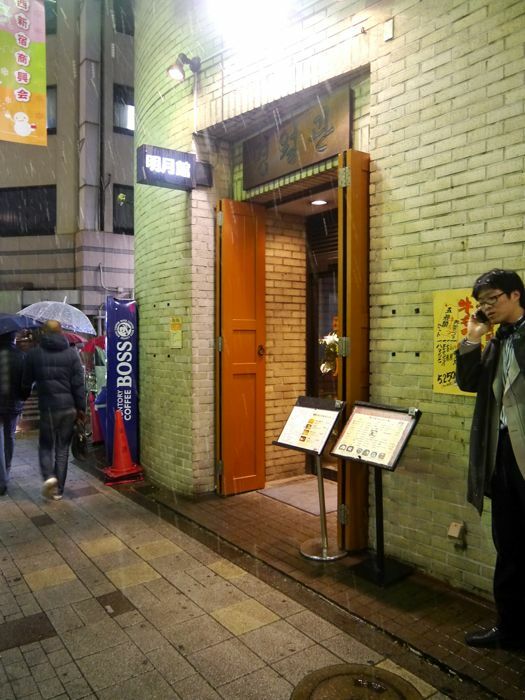 Don't you think some Japanese might set up restaurants overseas & be able to serve good food? You say you're not asserting your views on me, but you end it off with a presumptuous & disparaging remark about how I clearly don't appreciate the food (false) simply because you misinterpreted everything I said & got all high & mighty that I didn't praise Japanese food to the skies.